Redeployable solar is a very interesting topic as the issue of solar panel recycling comes to the fore. This week ARENA have announced funding for redeployable commercial solar via Australian startup Solpod. Redeployable solar – on Friday the Australian Renewable Energy Agency (ARENA) announced funding for an Australian start up (Solpod Pty Ltd (Solpod)) to trial the installation of movable solar panels on commercial and government building rooftops. According to a post on the ARENA website, the startup has undertaken trials with ARENA, ERM Power, GPT and Property NSW. “Solpod’s new way of installing solar will pave the way for businesses who were previously locked out of rooftop solar to take up renewable energy solutions and options under shorter term power purchase agreements. “This Australian start up will help to accelerate solar PV innovation and allows for renewable energy alternatives in niche markets, providing a cost-competitive alternative to standard methods of fixed mounting for delivering rooftop grid connected solar PV,” Mr Miller said. “Solpod’s solution can adapt to meet individual business needs. For businesses that rent their premises, Solpod can offer short-term contracts to match lease terms. For landlords, Solpod allows flexibility for changing site use and will not damage the roof,” he said. You can learn more about Solpod’s relocatable commercial solar via their website. Australian Solar Power could provide 30% of energy requirements by 2030. Solar Gardens – ‘ground solar’ – ARENA funding. 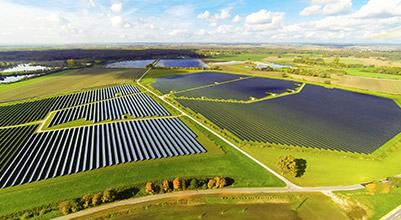 Canadian Solar have announced that the Finley Solar Farm will be using their KuMax modules and EPC services for the $170m project in New South Wales. The Finley Solar Farm will use almost half a million Canadian Solar CS3U-P Kumax Panels with single axis tracking, according to SolarQuotes. The modules are ‘split cell/half cut’ with 144 cells per module. Canadian Solar don’t have a huge presence in Australia yet, and it looks like they are going to focus on commercial solar installations for the time being. The farm will cost around $170m and will be built 6km west of Finley (which is located around 140km west of Albury, which is a city in southern New South Wales with a population of around 51,000). According to their website, the 175MW farm will be developed by ESCO Pacific, one of Australia’s leading renewable energy developers, with construction being managed by Signal Energy Australia. “We are delighted to be selected by ESCO Pacific to provide EPC (Engineering, procurement and construction) services together with Signal Energy and to supply our 1500V crystalline module to this large-scale solar power plant,” said Dr. Qu in a statement on the official Canadian Solar website. The farm has started construction (which started in December 2018) and the Finley Solar Farm is expected to be completed in Q3 this year, so not long at all! The energy has already mostly been spoken for, with a 7 year PPA signed last July by ESCO Pacific and Bluescope for the Finley Solar Farm to sell 66% of its output to Bluescope – with the PPA (Power Purchasing Agreement) the biggest corporate PPA of its kind in Australia at the time. Vicinity Centres revealed today that they will spend $75m to install solar at seventeen (instead of five) shopping centres in South Australia, Victoria, Queensland, New South Wales and Western Australia, after previously indicating that thy would ‘only’ be spending $28m to roll our commercial solar across five of their shopping centres. This is being touted as ”Australia’s largest-ever property solar program”. 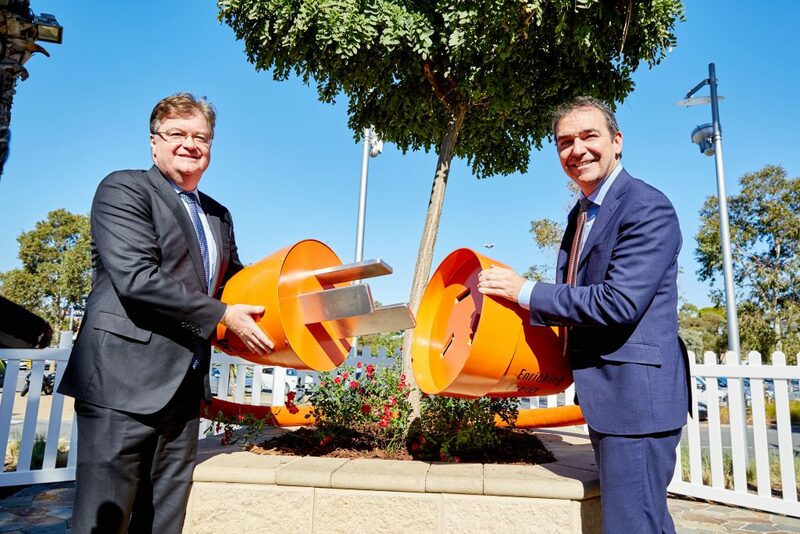 Vicinity Centres Shopping Centre Solar – Vicinity CEO/MD Grant Kelley and Premier of South Australia Steven Marshall. We wrote about Vicinity’s initial shopping centre solar plan back in May, when the initial figure was $28m. The scope of what Vicinity are hoping to do have changed drastically over the last few months – and they have decided to throw almost 300% more money at the project and expand it to more states. 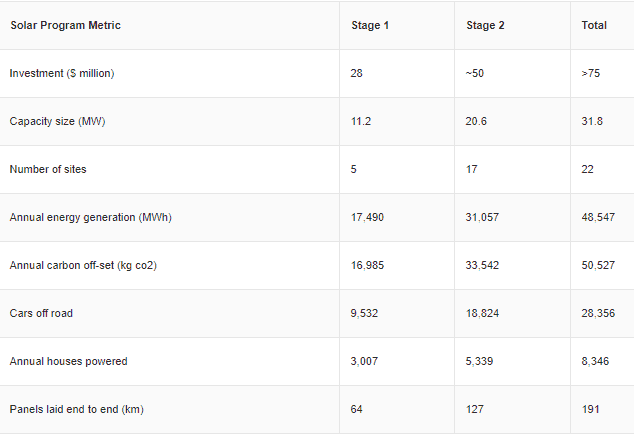 Stage 1 will still involve 11MW of commercial solar across five shopping centres and is already underway. The second stage is expected to be completed by the end of 2019. It involves extending the program to Victoria, New South Wales and Queensland – generating over 31,000MWh of solar energy each year. “We know our centres have a considerable footprint in our communities which is why we’ve committed more than $75 million towards stage one and stage two of our solar project,” said Vicinity’s head of shopping centre management, Justin Mills, in comments on the project repeated in One Step Off the Grid. “This investment will generate clean power for our centres for the long term, make a positive environmental impact and deliver shared value for our customers, retailers and investors,” he said. The second stage rollout will also create over 300 solar jobs during the construction phase and 40 permanent roles once it’s completed. Read the original press release by clicking here. A generous grant for the $2m Melbourne based Ovida Community Energy Hub was announced by the Victorian state government this week. It’s been given a grant to help deliver affordable, dispatchable and reliable energy for occupants of apartment and commercial buildings. The Ovida Community Energy Hub has been awarded a $980m grant from the Victorian government to install shared solar and battery storage systems in three as yet unchosen multi-tenanted buildings. It’ll be done in conjunction with a group of solar companies – the consortium behind the $2 million Ovida project includes Ovida themselves, shared/community solar company Allume Energy, distribution company Jemena, RMIT and the Moreland Energy Foundation. “Microgrid projects are part of our plan to drive down energy prices, reduce emissions and create a pipeline of investment in renewable energy,” Victorian energy minister Lily D”Ambrosio said in a statement reported by One Step Off The Grid. “Traditionally solar arrangements in multi-tenanted apartment blocks have been all or nothing – meaning all residents had to invest in and use the system for it to work,” said Ovida’s Paul Adams while discussing the project. 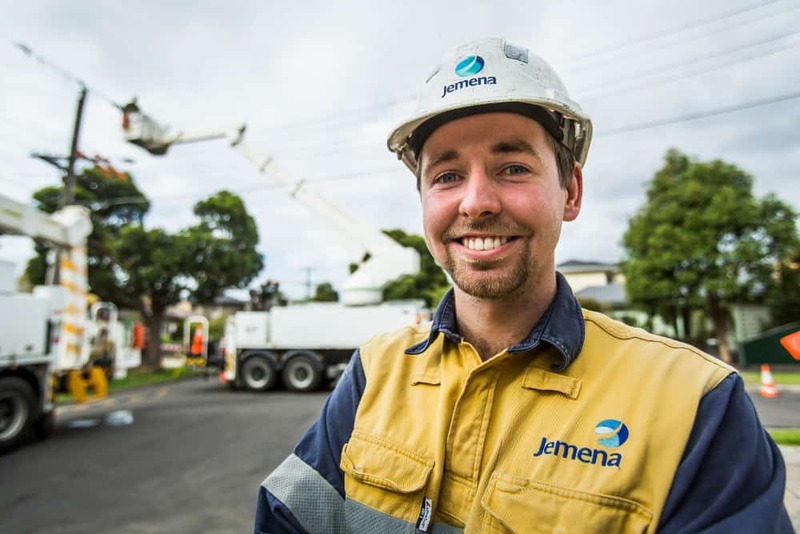 “We know this can be a challenge because apartment blocks often include long-term residents, owners, and short-term occupants who each have different energy needs and expectations. Along with apartment solar, this is another great step for commercial solar in Australia – watching the government get involved like this bodes well for the future of these sorts of projects. As the price of electricity continues to rise more and more businesses will be looking to insure themselves against further rises and look at buying their energy from alternative sources.